What Can I Legally Do? What can creators do to protect their work online, especially when someone steals or lifts images, and uses them without permission, including claiming them as their own? – Webcomic Creators Facebook discussion in progress. Lenovo ThinkPad? Wacom Cintiq? Screen Tablets are increasing in popularity, but which one is right for you? How much do you have to spend? How much can you SAVE? Just when you think you’ve figured it out, the model to be successful in webcomics has changed. This will be a retrospective of models of the past, and how things are working today. Commissions and What Are You Worth? Many artists, especially online, tend to under-sell themselves for commissions. How does one evaluate how much their work is worth? Why do we seemingly charge too little? All the way back in 2007, Fes set out a goal to create a webcomics podcast to bring people together to share knowledge amongst creators…. Also to interview some of his favorite webcartoonists. This is a look back at over 5 years and over 300 episodes of interviews and discussions. – YOU CAN HELP! What are your favorite moments of the show? The Webcomic Beacon podcast has been here providing interviews, discussion, perspectives, and help over 5 years and over 300 episodes. It’s time to bring the curtain down for the show’s main programming. Join us one last time. What are your favorite moments from The Webcomic Beacon? We have a TON of episodes. Part of the Webcomic Beacon Retrospective will be looking at old episodes, and likely playing clips. Listener suggestions with this will be MOST helpful. Suggestions and assistance for the above planned episodes. So we have a list of planned episodes, if you have any suggestions, or even experience, in which the show could benefit from, please let us know. Suggestions and assistance for a NEW episode. Similarly, if there is a show you would LOVE to see the Webcomic Beacon cover, AND can help put it together, please let us know! What’s going to happen with The Webcast Beacon Network? The new website design should be up soon (yes, I keep saying that), with a new focus on articles and likely reviews. This may include an ability for people to submit their own articles. Plans include more comic reviews of eBooks, comic of the week posts, Kickstarter/IndieGoGo signal boosts, Convention/Event signal boosts and organizer interviews, and a few other things…. We will see how things actually go, and we may be looking for new blood for some of these interests as well. … will continue… but for now, only a few shows may come out sporadically. There will likely be an intended hiatus over part of “con season”, which will include part of both the Spring and Summer of 2013. The Webcomic Beacon, as it has existed of the past 5 years, will for sure “end” (at the LATEST) in the Fall or Winter 2013, with the final episodes. The Webcomic Beacon NEWSCAST will be set up to take the title of “The Webcomic Beacon” as…. … will continue as normal, with 2-4 episodes updating per month. There may be a possible added video feature, in addition to the way the review videos that currently run. Live show to be recorded with professional comic book inker Mark Stegbauer, during CONvergence 2013, 4th of July Weekend in Bloomington, MN, at the DoubleTree. … will continue webfiction readings for the time being, though the schedule may see some slight disruptions as Fes will likely need to halt his readings, and a new series is found for Kara. 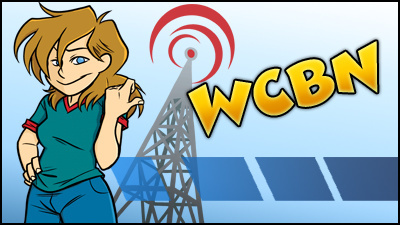 If we cannot find a new hosting crew for Webfiction World, it is possible we may look to an existing, outside webfiction podcast to join the ranks of the WCBN, and Webfiction World would continue to focus on just webfiction readings. It is also possible that by Fall 2013, Webfiction World may end or go on indefinite hiatus. Further developments, including additional episodes, will be added to this post. If you think you can help out, see below. including ways you can DIRECTLY help us with any episode.